Perfect for weddings, funerals, ceremonies of any kind and any time you just want the presence of bagpipes or Scottish Whistle. Wireless Electronic bagpipes (they come with a volume knob) with excellent sound sampling, look and sound completely acoustic. The reverb and chorus settings will make you believe a piper is off in the glen, playing in the mist. Can play in any key, always in tune. Also has multiple voicings: Highland Bagpipes, Scottish Smallpipes, Medieval Pipes and Gaita. I also perform on Scottish whistle, accordion and vocals. Can also provide a drummer for those bagpipe ceilidhs! She's beautiful and plays bodhran, djembe, mounted bass/taiko and kit. David did a fantastic job for our St. Paddy's Day event! I could not have been happier. I would highly recommend him if you're planning an event. Thanks again, Cheers! Thanks, Steven! It was a fun event and your hospitality was warm and friendly! David was wonderful and such a pleasure to work with. Would recommend him! Thank you so much! A very fun group of folks. Great communication! Beautiful sound made a lot of people happy and cry with joy. Played exactly what I wanted. Thanks for the kind words! It was a beautiful service and you folks were extremely kind and hospitable. Really enjoyable wedding! I wish you all joy! Thank you, Ginger! What a nice group! Really enjoyed myself! Showed up on-time and did great job. Would Highly Recommend. David glenglass was absolutely incredible and very easy to work with. 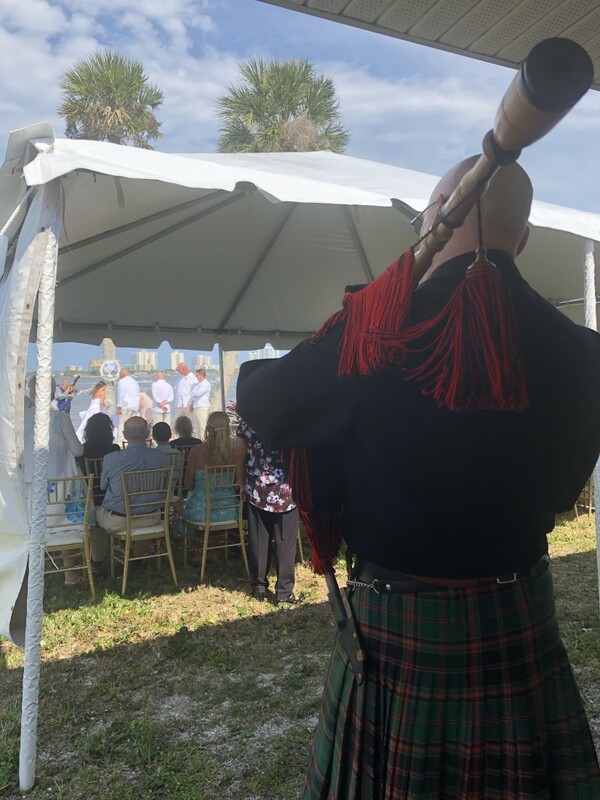 I'm so happy I decided to have bagpipes for my processional for my wedding. I don't have any negatives at all. David was so talented, very reasonable, professional, and communicated and helped with song selection. I would hire him again in a heartbeat. Thank you so much, Xaviera! The ceremony was beautiful and you were an absolutely stunning bride! David text me to meet the day before the event so he would be prepared for our electricity, etc. He came early and played for the crowd before the memorial which wasn't part of what we ask for, but was very nice. He set his equipment up, even putting a mat over his wires so no one would trip. He performed the song we wanted, tore his equipment and was gone in a very timely manner. We were very impressed with his professionalism, and his talent. Thank you, Linda. It was a lovely service and it was a delight, meeting the members of your community. I arrive early, setup the sound system, and then get changed into my full kilt and gear. The pipes look and sound acoustic, though they are electronic. This gives me the advantage of setting the volume for the space so that the pipes are stirring and meaningful, without being overpowering. It also ensures that the pipes are always perfectly in tune, something that cannot be said for acoustic pipes. I also play Scottish whistle. Similar to a flute, the Scottish whistle is a lovely, evocative instrument that can set a solemn mood, or be a lovely background. 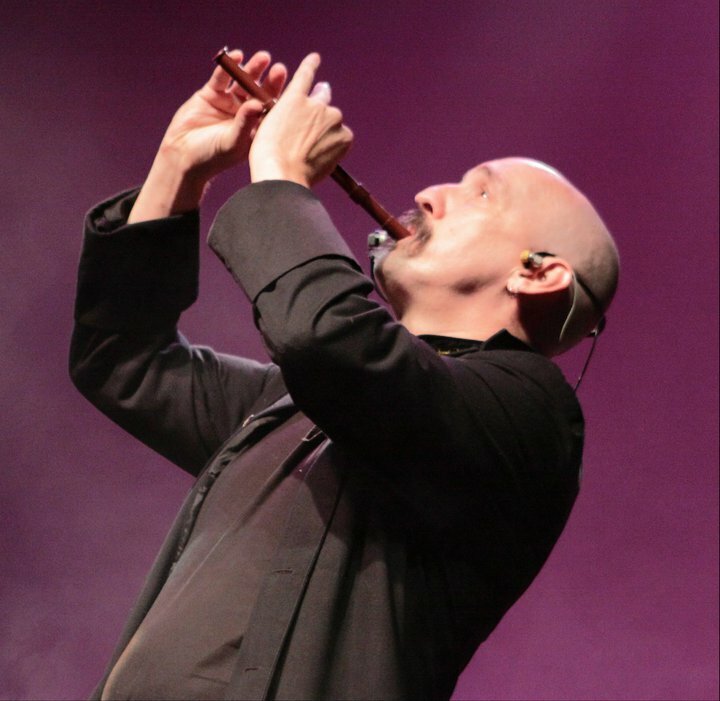 Having toured for a dozen years with the Celtic Rock band, Coyote Run as the lead singer/accordion/bagpiper, David and his wife have settled in the Tampa Bay area. 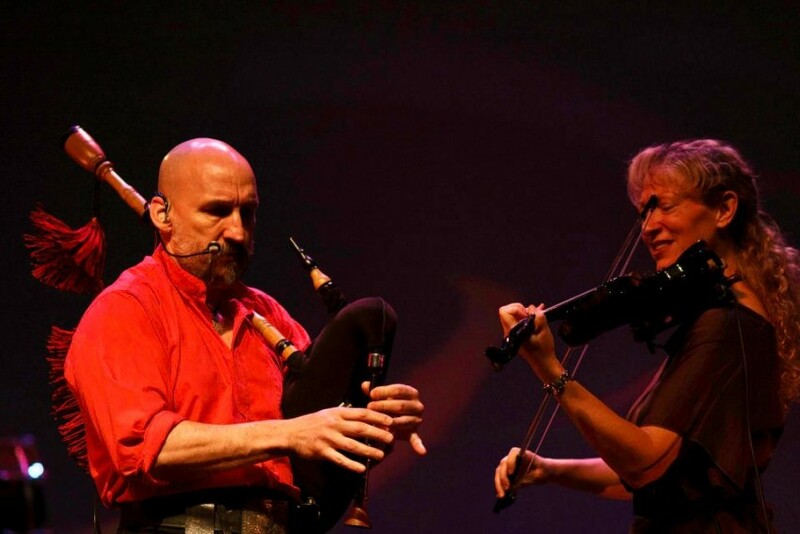 During his years of touring, David's band was featured at various Celtic festivals around the country, including: Grandfather Mountain Highland Games, The Great American Irish Festival, Toledo Irish Festival, Potomac Celtic Festival, Williamsburg Scottish Festival, Savannah Highland Games, Syracuse Irish Festival, and many more. Coyote Run toured and performed throughout the United States, Canada and made multiple special appearances in Scotland, Ireland, England and Wales. They released 11 CDs. David's wife was the drummer for Coyote Run, and now plays for the American Rogues. I provide speaker(s), mixer, microphone (if needed) and appropriate cables. I ask that clients keep in mind that I will need space and set up time for the speakers and gear. Clients would be responsible for lights. Access to electricity and appropriate extension cords.